The Russian Internet has a rich tradition of producing fictional accounts of the lives of powerful politicians. The most famous and accomplished author in this genre is undoubtedly Maksim Kononenko, the mind behind Vladimir.Vladimirovich.ru, a once regularly updated blog that featured invented, humorous episodes from Vladimir Putin's life as president of Russia. (RuNet Echo interviewed Kononenko in 2012.) In the age of microblogging, Russians’ love for short-story satire has birthed countless parody accounts on Twitter, where talented jokesters like @Fake_MIDRF, @heil_girkin, @LevSharansky, and others entertain thousands. Twitter hasn't killed the short satirical story, however. You can still find them here and there online, when current events inspire someone with a sharp pen. Russia's ongoing assault on the McDonald's food chain, one of America's most recognizable, if disgusting, exports, has awakened many Russian satirists. Last month, when the government closed McDonald's iconic locations in Moscow, RuNet users were quick to irony, sharing photos of filthy hospitals, where sanitation inspectors, it seems, don't bother to look. 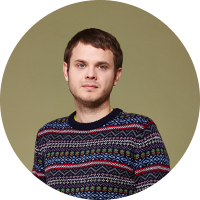 Ilya Klishin, TvRain.ru's chief editor. Responding to news today that a court in Yekaterinburg has shut down a second local McDonald's restaurant, Ilya Klishin, chief editor of TvRain.ru, penned on Facebook an unlikely account of how the news might be received in Washington. В кабинет к Бараку Обаме зашел, осторожно постучав, референт; молодой еще парень, дорогой шерстяной костюм ему чуть велик в плечах. В руках синяя папка с тисненным орланом. Президент продолжал читать бумаги, сидя за столом, на Логана (а так звали вошедшего) он не обратил никакого внимания. Пришлось осторожно кашлянуть. — А, Логан, ты. Что ты мнешься. Рассказывай, что там у тебя, — поседевший в последний год Обама не совсем удачно попытался улыбнуться. — Я даже не знаю, как это сказать… — референт открыл папку и стал смотреть в распечатанную бумагу. — В общем, кхм, ну… Суд Екатеринбурга закрыл еще один МакДоналдс, — выпалил Логан. — Твою мать, — президент выругался так, как никогда себе раньше не позволял. Пунцовый референт молча смотрел в пол, переминаясь с ноги на ногу. — Еще один? В стену полетела тяжелая чернильница, подарок королевы, между прочим. По обоям поползла клякса. Обама сидел, обхватив лицо обеими руками, и, кажется, плакал. — Это провал, Логан, ты понимаешь? Мы теперь обречены. Мы. Обречены. Точка. Еще одного я не выдержу. Выйди отсюда. Я буду звонить Владу. Мы сдаемся. After knocking cautiously, the aide entered President Obama’s office. He was still a young man—his expensive wool suit was a bit big in the shoulders. In his hands, he carried a blue folder with an embossed eagle on the cover. The President, sitting at his desk, continued reading over documents. He paid no attention at all to Logan (that, anyway, is what people called the aide). Logan had to cough intentionally to catch the President's eye. “Ah, Logan, it’s you. Let’s have it. Tell me what you’ve got there,” Obama said, greyed after seven years in the White House, struggling to pull off a smile. “I don’t even know how to put this,” the aide said, opening the folder and looking down at the document inside. 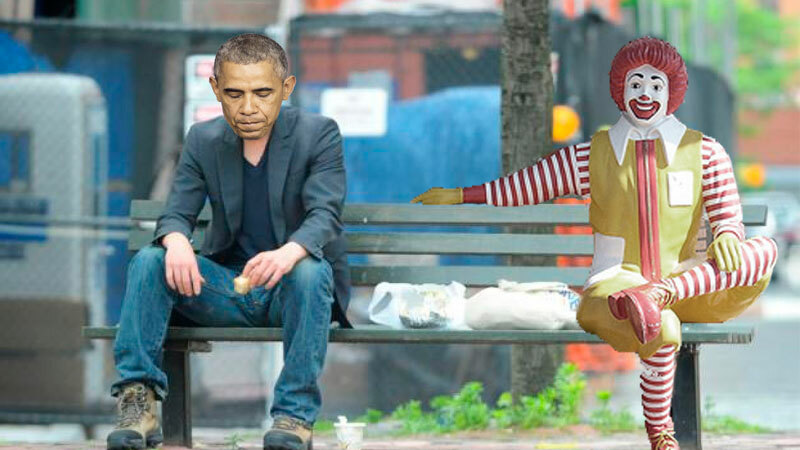 “Well, er, so … Sir, a court in Yekaterinburg has closed another McDonald’s,” Logan blurted out. “Mother fucker…” the President cursed for the first time in the Oval Office. The aide, shifting his weight nervously, turned crimson, fell silent, and looked at the floor. A heavy inkpot went flying into the wall. (It had been a gift from the Queen, incidentally.) The ink oozed its way down the wallpaper. Obama took a seat and covered his face in his hands. Logan thought he heard him crying.